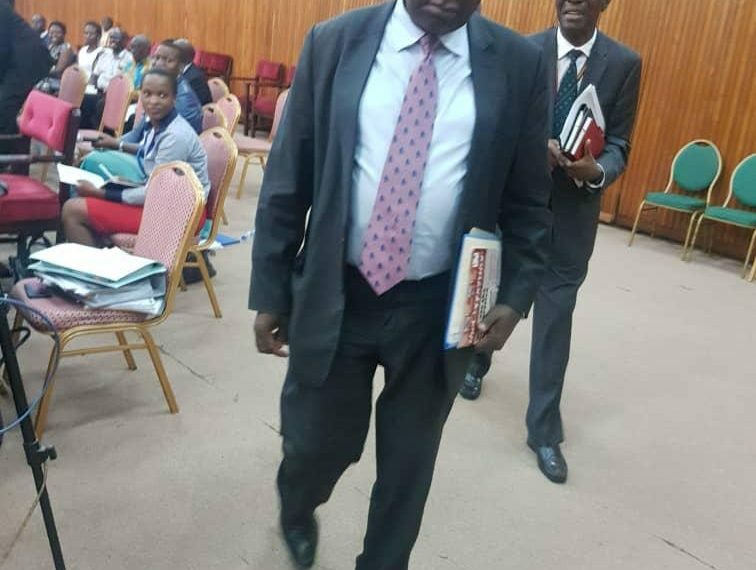 PARLIAMENT – Dr. William Kalema, a director with dfcu Bank was almost locked up at Parliament after he angrily responded to some of the questions put forward by MPs on the Committee on Statutory Authorities and State Enterprises (COSASE). Trouble started when Kalema was asked to explain his role in the closure of some commercial banks since he was a former board member of the Central Bank but the later in an angry tone said he did not know what the MPs were talking about. COSASE chairperson Abdu Kauntu on Wednesday sent the dfcu Bank team for presenting unauthentic documents regarding the purchase of defunct Crane Bank Ltd.
dfcu Bank is in the eye of the storm following its controversial purchase of Crane Bank Ltd for a paltry Shs 200 billion and with evidence before the committee indicating that the former BoU executive director for Supervision Justine Bagyenda offered them several waivers to write off Shs 600 billion Crane Bank loans. dfcu Bank officials led by the chairman board of directors Jimmy Mugerwa were on Wednesday appearing before COSASE as witnesses in the closure and purchase of Crane Bank Ltd but as Mr. Mugerwa made a defence presentation in regards to the terms of purchase of Crane Bank Ltd agreement, the MPs pointed to the fact that the documents that were being presented were neither dated nor signed.